Since 1999, Supreme Q.X. Beauty Spa has been dedicated in providing her customers with convenience, quality service and an elevated experience. 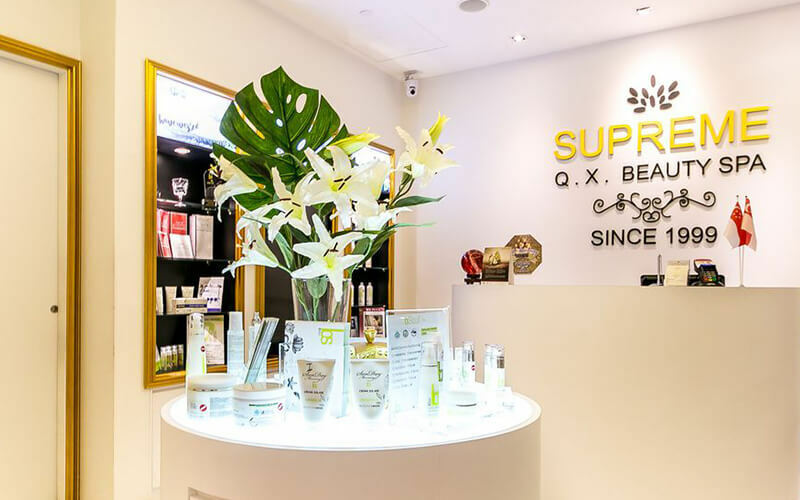 As an award winning spa, Supreme Q.X. Beauty Spa continues to be innovative and sincere in providing a great experience for her customers. A master of treasures from both the East and West, we skillfully combine MTM (Merdian Tissue Manipulation) and products developed from advanced technology to deliver her customers long lasting results. At Supreme Q.X. Beauty Spa, we envision ourselves in providing women a place of refined culture where they can find their beauty, health and confidence.